Mac and Cheese that smells like Chocolate? Me: Do you love me more than football? Hubby: Oh! That isn’t what I meant. Yes, I love you more than I love football. I giggled about it and told my mom the story. She said it was enough to make a pregnant lady cry. I was tough though! Just a little shout out to the other football widows out there who’s husbands coach grid kid football and love watching games. I have an awesome hubby though. Wouldn’t trade him for anyone or anything else. Funny story, or maybe not too funny of a story. I came home from work to drop off Sadie puppy at my house before I had to go to a church activity. I was already running a little late, but I got the ok to feed my belly and be a little late before I went to the activity. I was pulling into my house when I noticed that there was a horse out and about on the road. There was a guy riding his bike trying to figure out where the horse belonged. I don’t know much about horses so I just pulled into my house and was minding my own business when I looked out the back window and realized that there was only one horse in our pasture. We rent out our pasture to a woman with “stud” horses. I went out back to see if the other horse was just behind a tree or in a place I couldn’t see, but sure enough there was only one in the pasture. The one in there was FREAKING out. That is when I noticed the fence that was smashed and horse prints in my lawn! That horse running amuck belonged at my house! I looked for something to put around it’s neck to lead it back and all I could find was an extension cord. I walked over there to try to coax it over, but it was trying to love on the horses across the street. I didn’t want to get in the middle of their flirt fest and take the chance of getting kicked. Just then, the guy riding the bike came around the corner. He offered to take the horse back to my pasture. I was so relieved! He took it over to the pasture, found a rope at his house, and tied the naughty horse up. The poor horse had cut his leg when he was trying to get out of the pasture and he was bleeding. I was really worried about him and continued to leave panicked messages to the owner. I was really angry with her. To add to the stress, our backyard and most of the pasture was flooding. The ditch behind our land was overflowing and the poor horses were having to stomp around in a foot of water. When it got dark outside, and we still hadn’t heard from the horse owner (grrrr), I started getting worried about that horse. He was tied in place that he had no more food, standing in water, and he wouldn’t be able to lay down if he wanted to. I decided to go on a horse saving mission. Still in my clothes I wore to work, a cute little animal print, short sleeved sweater and shorts; I put on some flip flops and went out to save the day. Even with a flashlight, it was tough to see what I was doing, but I was able to climb over the gate and get the horse’s rope undone. I was trying to lead him over to the spot I was going to be tying him up, but my flip flops kept getting stuck in the large amount of mud and slop out in the pasture. There were a few times that I wondered if I would just have to leave my flip flops and go bare foot. Then I remembered that the last thing I want, is to get a tetanus shot. So I ripped them out of the mud over and over again, praying that I wouldn’t break them. I’m shocked that they didn’t break. When I was just about to the spot I needed the horse to be, his friend started coming over and he started getting excited! I got pretty nervous, but just talked to him like I would a puppy saying, “Come on little horsey” probably more to calm my nerves. I get scared around horses sometimes just because of how huge they are! I got to my destination, and tied the best knots I could. I could tell he was a lot happier where I took him. When I got back inside, Dave just laughed with me about my legs being covered in mud, water, and horse poo, but I couldn’t help but feel like Felicity the American Girl. My Grandpa Miller. He passed away in 2008. I miss him every single day, but miss him the most when I see horses. He literally was a horse whisperer. Every horse loved him, and he loved them back. He was such a great example of a Christ like love of animals. Because I had gone out there to do all I could to help that horse, I knew my grandpa was smiling down on me in heaven. I have learned to have a deeper appreciation of animals than I already had. I am grateful that I was able to have that experience so that I could feel that closeness with my grandpa. I’m pregnant! I am currently 11 weeks along. ALMOST done with the first trimester. We have seen an ultrasound picture, and heard the heartbeat. We’re just so excited! I have been a little sick, but haven’t thrown up. It sounds like I am pretty lucky! I am pretty excited to stop feeling so nasty all of the time though so I can have a good relationship with food again! I haven’t been able to paint anything either because you can’t be around chemicals during the first trimester, so soon you will start seeing some projects again! There’s a little going on over here! Technically, I’m still on my mini vacation right now, but we don’t have much planned today so you get to hear from me. I’m going to catch you up on what we’ve been up to on these next few posts. I was in charge of an event at the Farmer’s Market a few weeks ago. It kind of took over my life for a little while. It was an ALS Awareness Freedom Celebration. ALS/Lou Gehrig’s Disease is what my father in law passed away from in 2008. There are a lot more people effected by this disease than many people are aware of. It is actually a much more common disease than most people think. We gave out Lou Gehrig baseball cards with ALS information on them, sold raffle tickets, and partied it up with Charlie the Idaho Falls Chukar! We were able to make about $100 for the ALS Association, and spread a lot of awareness. It was such a neat experience. Dave even made a Chukar balloon for Charlie. On the 4th, we decided to try and turn ourselves into a little business. Dave made 100 bags of cotton candy and we purchased several cases of soda and water on a really good sale and we walked the parade selling cotton candy and they got a free drink with their purchase. We were a little worried about not being able to sell all of the bags. We were planning on walking the entire parade and walking back. We figured we should be able to get rid of all of it then, and if not, we would head down to the river where they had more festivities. We actually sold out only about 3/4 of the way down the parade! We didn’t even have to walk the whole thing and back. It was really fun and kind of a funny way to watch the parade. My sweet brother Payton was hired to help us out. He’s such a good sport. He was a little squished in the car! Oh, and want to see how our bedroom furniture started moving downstairs? We were laying in our bed at about 11 pm and were sweating! We couldn’t fall asleep at all. We looked at each other and said, “Want to move our mattress downstairs?”. So we did it! We only slept like this for about 2 nights though. The rest of our bed is down there now! The bedroom makeover is coming along! Cupcake Diaries– This is my cousin’s cute wife Alli’s blog. She is an incredible cook and features new recipes almost every single day! 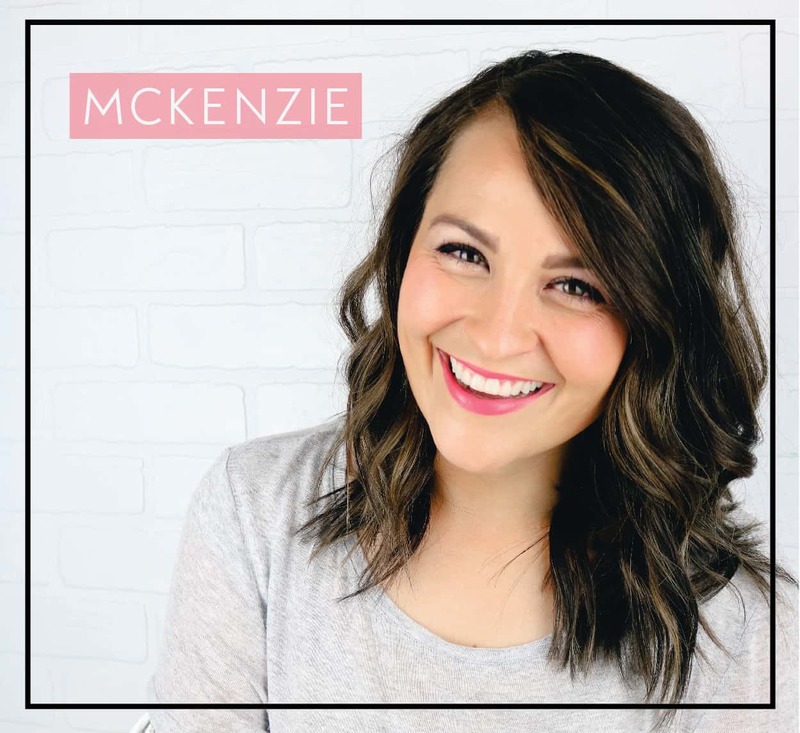 She is an incredible blogger and was even mentioned on the Our Best Bites Blog! She totally rocks (and has the cutest little boy ever). P.S. I want to make this sandwich so much it almost hurts. It looks SO good! Life in My Heels– Cute Sheena has the best sense of style and such a fun little life with she and her daughter Miss T (this girl’s got a lot of attitude packed in a tiny body). Her blog followers her life, style, current fashions, and her home décor. She also has some incredible sponsors and fabulous giveaways! Sullengers– I have a mutual friend with this couple that told me their story and I became an instant fan. Last year, their little girl fell into a canal and passed away due to complications a few days later. They documented every part of their journey while in the hospital with Preslee and have talked about their healing process. They were just blessed with a beautiful little boy this month too. It is an incredible read. I hope you take the time to check out all of my favorite Idaho Bloggers. Their blogs are all unique, creative, and entertaining! If you follow them, tell them Girl Loves Glam sent you over! Isn’t it so cute? I love it! A few months ago, I got the Lowes Creative Ideas magazine in the mail and they had one of these plaques in it but for what they used, it was going to cost $68 and that just wasn’t ok with me. If you want to spend the money, go on their site and they have instructions there. This is what theirs looks like. I love it! Just not the price. I did want to give them my business because they came up with the idea, so I did buy everything you will see me use at Lowes. Dave and I went to Lowes to find some cheap lumber to make our plaque when he saw this. It is a wooden plant caddy with wheels on it. It was the perfect find and the perfect price! I had to take a picture of it while we were there. Dave is thinking “I am trying to make posing with a plant caddy (whatever that is) in the middle of a hardware store look natural”. He’s a total natural. I got the numbers for about $2 each and the spray paint for about $3 each. That makes it a grand total of about $31! That is less than half of the other one. You will need spray paint, primer, wooden plant caddy, house numbers, saw, hammer, screws, and a drill. Your first step will be taking the wheels off and sawing off the 5th row of wood. We want a rectangle, not a square. Then prime this puppy. I love the spray primer. It doesn’t take long, and it isn’t messy! Then paint your boards the color you want them. Next, spray your numbers with primer and paint. Place them where you want them to be on your board and nail them into the board. Find someone to help you hold your board up to your house and screw this baby in! It is so cute from the road now! I love it! Happy creating everyone! Embellished shoes you can change up! Enter the CURRENT GIVEAWAY before it ends on June 2nd! Anyways! I found these lovely white flats at Wally World for a whopping $3! They were perfect because they are in a neutral color and can match just about anything. The first thing you’ll do, is snip those interesting bows off. They are looking better already! Use a hot glue gun to glue a strip of Velcro to the toe of the shoes. Make embellishments to put on the toes of your shoes and put the opposite side of the Velcro on the back of the embellishments. I made these by cutting strips of fabric and sewing a stitch through the center. Then I pulled the string to make them ruffle. I glued a piece of ribbon over the stitching to make the ruffles lay flat. I used plastic rhinestones and glued them on creating a design. The most time consuming part was putting all of the rhinestones on, but it wasn’t too big of a pain. I really like how they look on the shoes! The other embellishment I have for my new shoes came off of a pair of shoes that were too big for me. I have plans to make more embellishments for my shoes including some rolled roses and tulle! I will post some pictures as I make them. Go find some cheap shoes and make them pretty! When you think of a romantic evening with your husband celebrating your 3rd anniversary what do you think of? Dinner by candle light, a themed suite, or maybe a romantic picnic? Nope! Wings of course! Buffalo Wild Wings just opened in Idaho Falls and we HAD to go check it out the 2nd day it was open! That day just so happened to be our anniversary. Nothing quite says “I love you forever” like Hot Barbeque wings that make you want to cry and keep you up with a tummy ache all night! Don’t worry though, I did have a romantic lunch with him earlier that day in his 3rd grade classroom. Panda Express in elementary desks. We probably deserve the “Most Romantic” award this year! HURRY! Go buy the 50% off Easter candy for these yummy treats! This recipe came from the Cookie Bible. It is one of my favorite recipe books for obvious reasons! 1. Combine butterscotch chips, corn syrup, peanut butter and sugar in large microwavable bowl. Microwave at HIGH 1 to 1 1/2 minutes or until melted and smooth, stirring at 30 second intervals. 2. Stir in chow mein noodles and cornflakes until evenly coated. Quickly shape scant 1/4 cupfuls mixture into balls; make indentation in centers to make nests. Place nests on waxed paper to set. Place 3 egg candies in each nest.